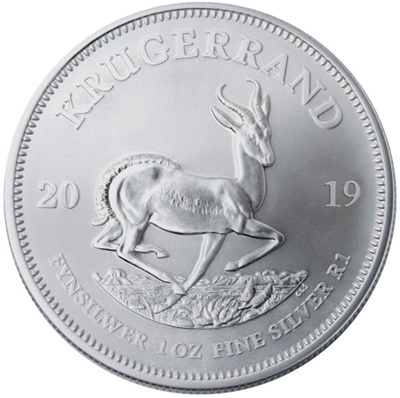 The 2019 1 oz Silver Krugerrand features a face value (denomination) as part of the traditional Reverse design. The original reverse design of a leaping springbok antelope is also sharper and more defined thanks to the latest computer technology and laser etching techniques. 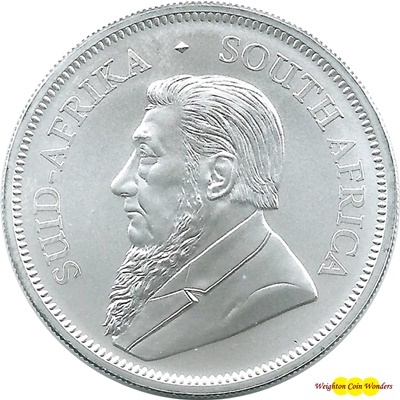 The obverse of this prestigious 2019 silver coin features the well-known portrait of Paul Kruger by Otto Schultz. As many bullion coin fans will know, the South African Gold Krugerrand was the first gold coin created purely for investment purposes. However, unlike most bullion coins, the Gold Krugerrand doesn't have a monetary value (it does not have a denomination). Since it's inception it has been traded based on the value of the Gold content. 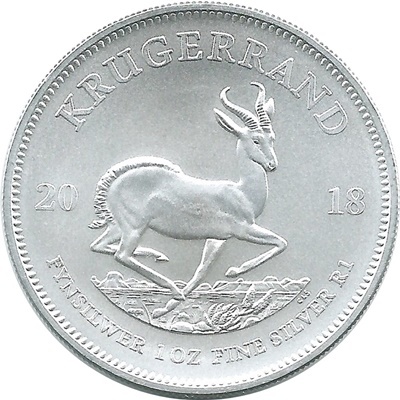 However, in a departure from tradition, the Silver Krugerrand carries its face value of 1 Rand.